Want to spend a weekend sleeping under the stars? How about listening to the sound of the waves before going to sleep? We can also watch the sunrise or sunset. Let's go beach camping then! Beach camping can be a truly great experience even without television or air conditioning. Everything is back to basic. You bring your own shade. You pack your bed. You cook your own food. Don't worry though. It is easy to do. All you need is a well laid out plan and great attitude to tide you when things go off the rails. You can either read blogs or ask friends who are from that place or have been there. First thing to find out is if the campgrounds are safe or camping is allowed. 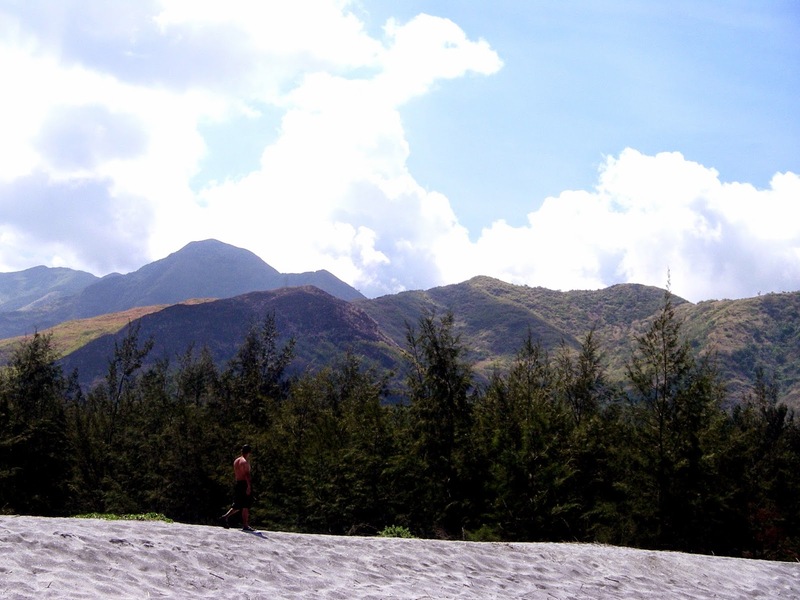 The first time we visited Puting Buhangin in Quezon, overnight camping was not allowed for security reasons. Now, it is a popular camping ground. Get all necessary phone numbers like the land or banca owners and make arrangements. Know also the bus schedules if you are taking public transportation or driving directions. Find out if also there is a water source or if there is a place nearby where you can clean up. It is also good to have alternative plans, just in case. Have extra cash to accommodate changes in plans. I know there are lots of exciting discoveries on the road so keep your eyes open for it but it is also good if you already have your itinerary planned out like where to have your breakfast, where to market or where to have side trips. If camping with kids or newfound friends, plan also games to make your outing more memorable. Our group has a set of camp games we usually play when we have newbies so that we warm up with each other faster. Bring props if necessary. Unlike booking in resorts or hotels, in beach camping you bring everything, including your bedroom and kitchen. Make sure your tent is sturdy so it can protect you from all weather. Bring also sleeping bags and packable mattress to make sleep more comfortable. It can also get cold at night. If you have a hammock, you can use that instead of a tent or you can bring both and have sleeping options. Hammocks are not so heavy anyway. There are packable stoves and cook sets available for sale in outdoor shops. 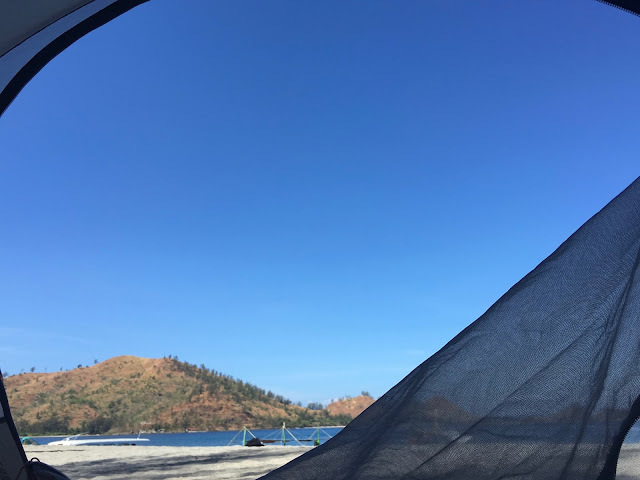 If you are bringing a car and it is okay not to travel light, then you can bring other things to make your camping trip more comfortable like coolers, camp chairs, extra tarps, etc. 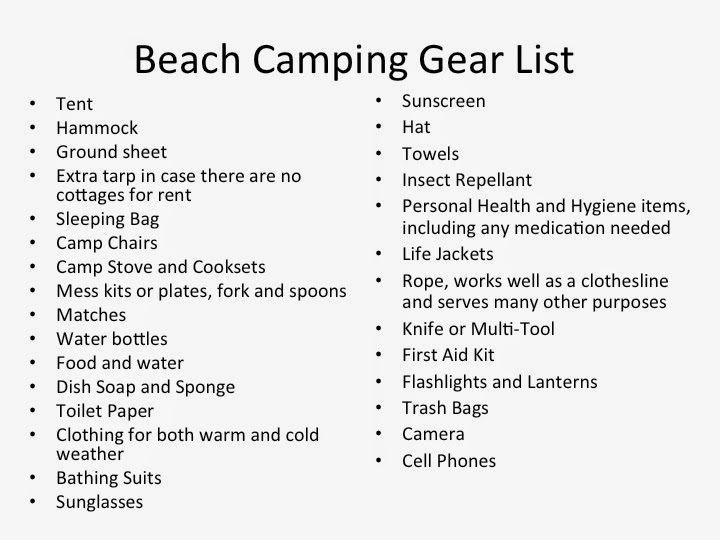 Don't forget other personal essentials like extra clothes, sunblock, hygiene materials and medicine. Don’t forget the mosquito repellants. Insect bites can ruin a perfectly good vacation. Ready your gadgets also. Charge all your batteries. Bring your powerbanks. Be ready also to camp in places where there are no cellphone signals. Make sure to finish all business before you leave for a worry free vacation. If you are taking a banca to your destination, make sure to waterproof all your things. Be ready also to leave no trace. We want the next batch can enjoy a clean beach. Bring your own trash bag. Have a meal plan and decide where you want to source out the ingredients. Some you can buy ahead. Others you can purchase at the local market. What we usually do is we just bring enough and then we are on a lookout for fisher folks so we can have fresh seafood. Just remember not to bargain too much. Let our fishermen friends enjoy a little income. It is also your little way of helping them. Remember also to bring water to drink. Most beach camps do not have potable water supply and stores for last minute buys. Beach weather can get too hot and we need lots of water to stay hydrated. There are portable filters available now but have them only as a backup. This person’s role to make sure everything is okay. This is the person who should remain sober when everyone is drinking. He has to make sure everyone is inside his or her tent during lights out. He should also make sure all trashes are properly collected and that all stuffs are properly stowed. On the drinking part, be mindful of other campers. Be sure to choose well the space you will pitch your tent on. Make sure it is elevated. I have an experience of a flash flood at Anawangin after incessant rain. My camp buddies lost some of their stuff. Consult locals or camp owners on this. Choose also a site that will protect your tent from the damaging rays of the sun. It can make your flysheet brittle. Of course, camping under the shade of the tree is much cooler but not coconut trees of course, unless it doesn’t have a fruit. Make sure also you free up the space that can damage the tent like twigs and rocks. Remember the lesson from the movie 127 hours. Aron Ralston, played by James Franco, took off to a remote location without letting anyone know where he was headed. He ended up cutting his arm. Let people close to you know where you are going. Leave number of travel companions. Let them know also the exact date you are arriving and if there are changes, alert them so they will not worry. This is very important. Before you hit the road, make sure the weather is good. It pays to be safe. It is not just about comfort.